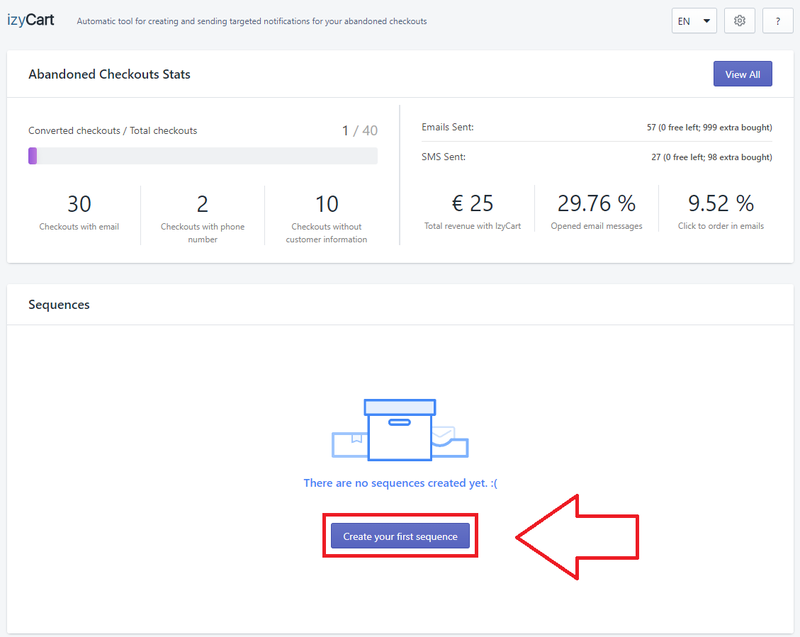 After installing izyCart on your Shopify shop, it's time to set it up and start targeting abandoned checkouts. To create a sequence, click on the “Create your first sequence” button. 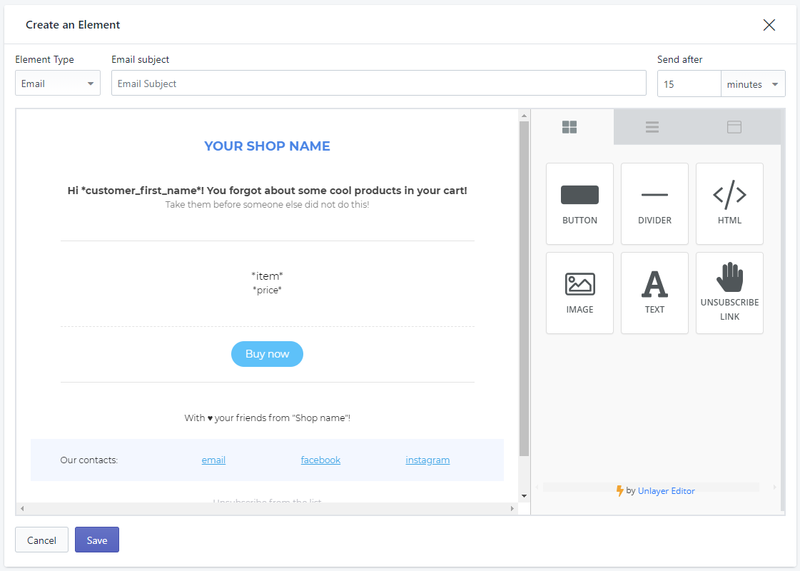 You will have the possibility to attach your products and/or collections to the text sequence you are about to create. 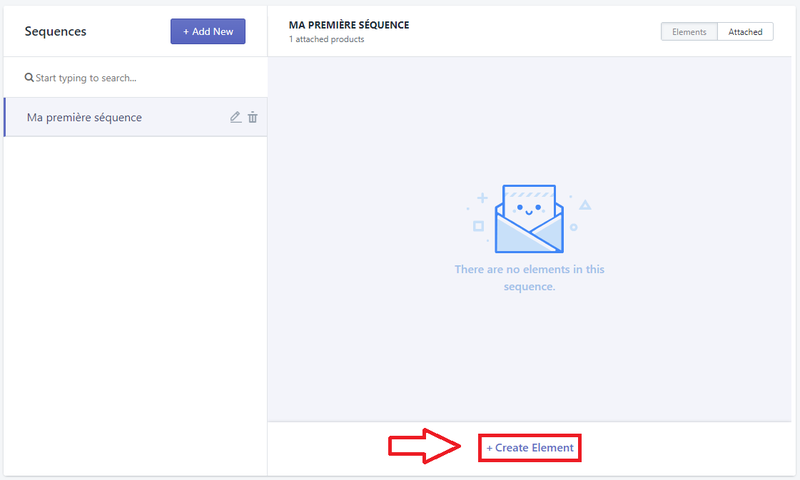 To link a product to a sequence, click on the “Attach” button and to save the sequence, click on the “Save” button. 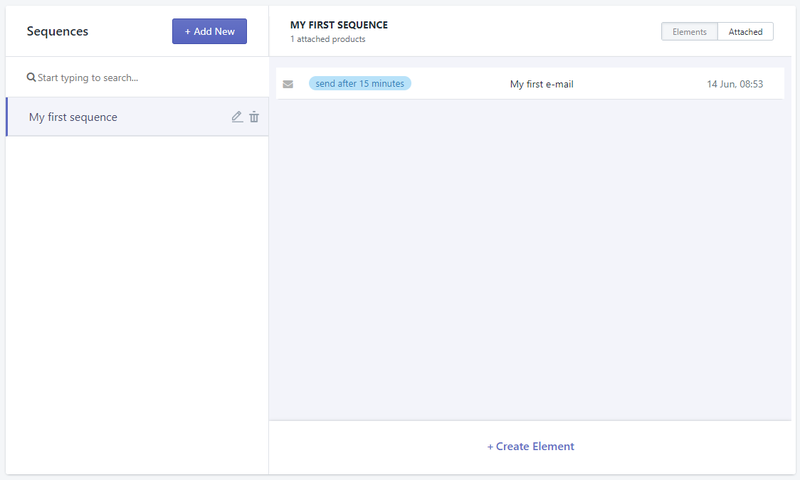 After attaching products to your sequence, you can create the text of your e-mails/SMS. For that, you need to click on the “Create element” button on the right column. Do not forget to add a title to your sequence. Once the page is loaded, you will have access to your text editor. You can select the element type (E-mail or SMS) and the trigger option “Send after”. You can edit your sequences as you wish. When you are done, click on the “Save” button to save your sequence. You can see the sequence you just created on the left column and the elements on the right column. From there, you have nothing else to do and izyCart is correctly set up! 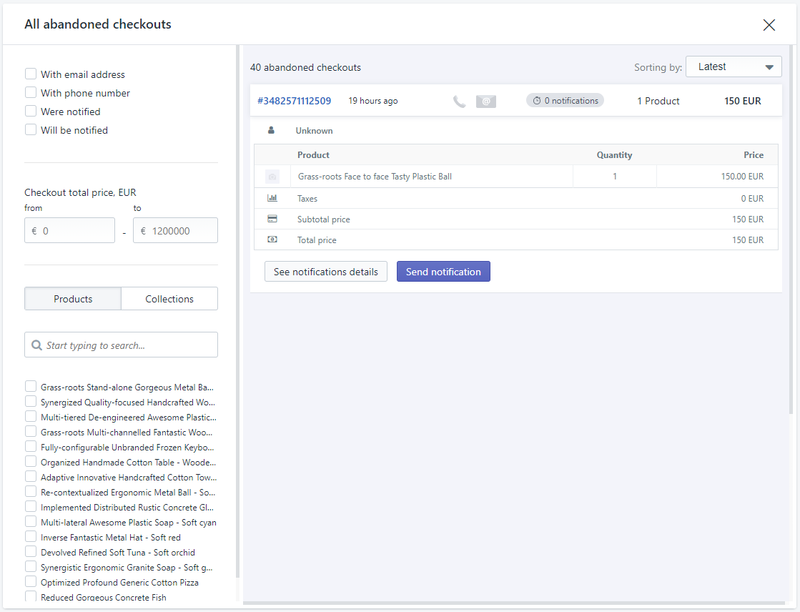 On the first box of your izyCart home page, you can see your abandoned checkouts statistics such as the amount of customers who gave an e-mail address or a phone number. You can also see how many e-mails and SMS’s have been sent and/or opened. By clicking on the “View all” button, a list of all the e-mails and/or SMS’s you sent will open giving you more details on each of them. If you need further assistance on how to setup izyCart, do not hesitate to contact us on EcomIzy live chat!